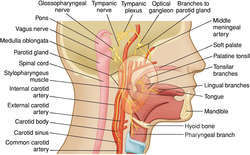 a root of the facial nerve containing sensory fibers for taste from the anterior two thirds of the tongue with cell bodies that are located in the geniculate ganglion and presynaptic parasympathetic autonomic fibers with cell bodies that are located in the superior salivatory nucleus, i.e., the fibers that are eventually conveyed by the greater petrosal nerve and via the chorda tympani branch of the facial nerve to the lingual nerve. 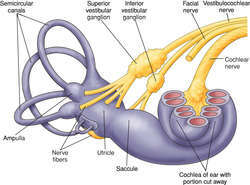 the smaller root of the facial nerve, lying between the main root and the vestibulocochlear nerve. 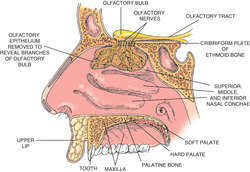 It consists of parasympathetic and sensory fibers, and its branches supply the lacrimal, nasal, palatine, submandibular, and sublingual glands, as well as the anterior two thirds of the tongue. 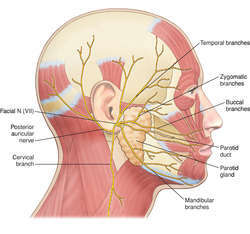 A root of the facial nerve containing sensory fibers for taste from the anterior two thirds of tongue with cell bodies that are located in the geniculate ganglion and presynaptic parasympathetic autonomic fibers with cell bodies that are located in the superior salivatory nucleus, i.e., the fibers eventually conveyed through the chorda tympani branch of the facial nerve to the lingual nerve. 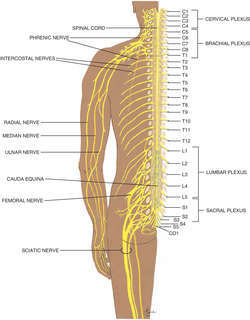 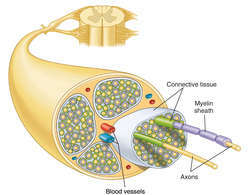 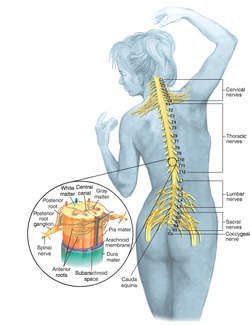 Synonym(s): nervus intermedius [TA] , intermediate nerve. 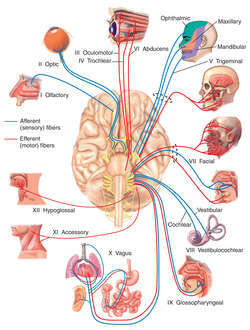 Root of facial nerve containing sensory fibers for taste from anterior two thirds of the tongue with cell bodies located in geniculate ganglion and presynaptic parasympathetic autonomic fibers with cell bodies located in superior salivatory nucleus.